Hundreds of volunteers and residents crowded the front yard of Malang regency’s main hall on Saturday to join the Earth Hour Day celebrations. The country’s 50 cities participated in the conservation campaign by turning off their lights for 60 minutes. “For Earth Hour Day in Malang, other than turning off the lights, we also highlighted the ocean through the ‘save our oceans’ campaign,” Malang’s Earth Hour 2019 committee head Rahma Maulidia Arzanti, 19, told The Jakarta Post in Malang, East Java, on Saturday night. 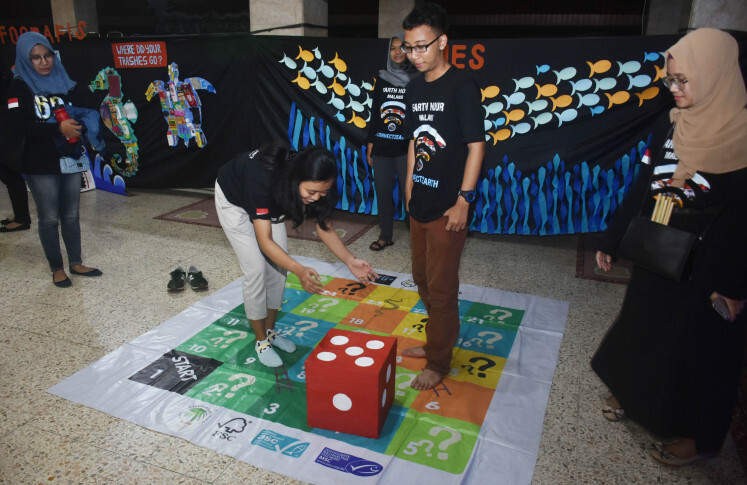 The campaign is said to feature an exhibition of ocean-inspired art installations combined with the Snakes and Ladders board game, all using recycled materials from plastic waste. 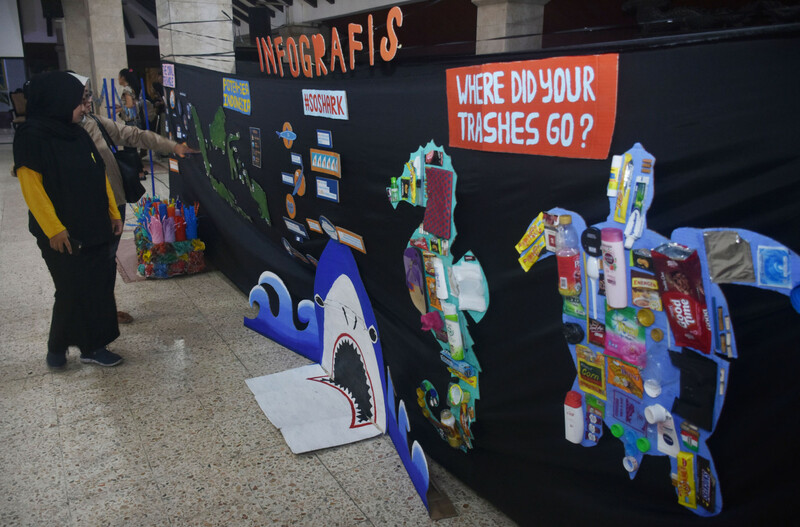 The exhibition also invites visitors to learn how to create accessories made of plastic wraps, held discussions on the threats of ocean waste, as well as music, theater and dance performances. Lights in the office buildings near the area were turned off exactly at 8:45 p.m. for 60 minutes.